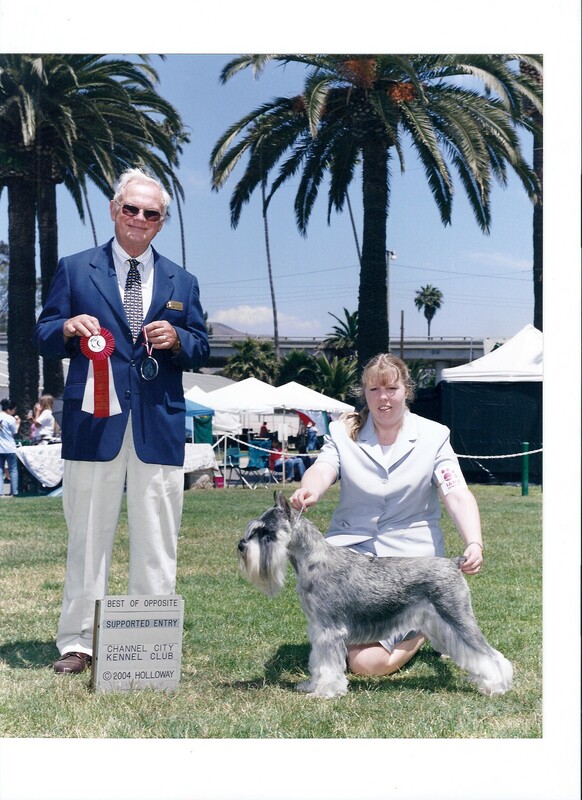 Star was my first Standard Schnauzer conformation show dog I ever had. 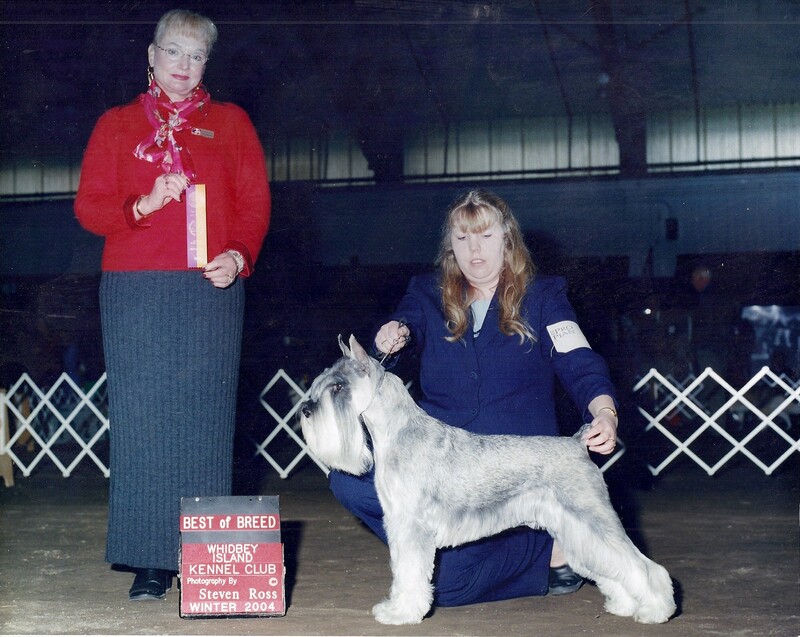 She was a joy and a wonderful experience of a show dog to have in the ring. We traveled to many dog shows on the west coast and learned alot from each other. She is a fabulous female with great show attitude and a nice head piece. She has a nice front and rear. She also has a wonderful gait. 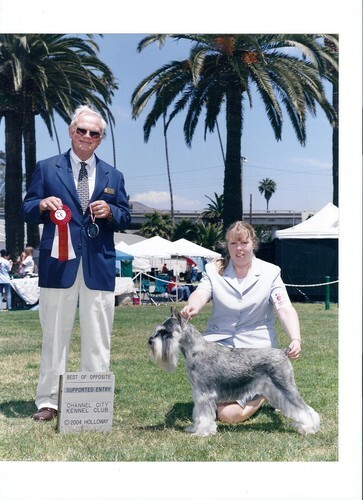 I would like to thank Linda Dobbie from Centara Standard Schnauzers for convincing me to have a show dog (Star) from her. If it was not for her, I would not be where I am today with Silhouette Standard Schnauzers. It has changed my life forever. Star is 16 years old today. June 24, 2016 I can't believe she is that old. She is a wonderful dog and companion. We love her!! HAPPY BIRTHDAY STAR BABY!! !